It has been barely over three weeks that the incumbent Governor of Benue State, Chief Samuel Ioraer Ortom took over the reins of power in the Food Basket State as the very first opposition candidate to successfully defeat a sitting governor and occupy the seat of governance in the state. Ortom, a former Minister of State for Trade and Investment and later, a Supervising Minister of Aviation defected to the All Progressive Congress (APC) on the 9th December 2014 after losing out in the Peoples Democratic Party (PDP) gubernatorial primaries on the 8th-9th December 2014 and picked the ticket of the APC on the 10th-11th December 2014 and went on to win the last gubernatorial polls. One interesting contrivance about the governor is his claims which almost became a chorus right from the time he was in PDP that God spoke to him and revealed that he must be Governor of the north central state. Indeed a miracle was unobtrusively done. That one who just left his party was able to fulfil the entire constitutional and Electoral Act’s requirements for contesting elections within 24hours, beat five other formidable aspirants who for over six months were with the party, to become the party’s standard bearer. Soon as he won elections, Ortom, a member of the Redeemed Christian Church, told the people of the state that he had forgiven all who offended him in the course of seeking for the mandate to govern the state. He, on different occasions, including interviews with the press, explicitly professed that when sworn in, he would use his first hundred days in office to reconcile the state and people who worked against his ambition. Ortom also received eight brand new Sports Utility Vehicles (SUVs) given to him, by the former Governor of the state, Mr. Gabriel Suswam for official use. This development generated a torrent of criticism from the opposition front with a section of them insisting it was a slipup collecting the vehicles especially that most of them believed Suswam was an evil that must be avoided by all. No sooner had the handover given way that many began to see Ortom in his real colours and his brand of reconciliation. Generally believed as one who hardly forgives, the governor started taking decisions that were clearly seen as vindictive and a spit in the face of his predecessor, Gabriel Suswam. Indeed, in the manner many political watchers described as typical of ruthless king with an agenda from the gods that must be accomplished within a stipulated time frame; within a week of enthronement, the governor nullified almost every decision Suswam took within the year 2015 insisting that those were recent decisions that must be reversed since they meant no good for the Benue people. He first of all nullified all recruitments done by the former governor in 2015, nullified the crowning and designation of first class chiefs in Tivland but reinstated a Second Class Chief, Daniel Abomtse who was deposed by the Suswam administration. Ortom’s first appointment was that of the Government House Chief Security Officer (CSO), the erstwhile Aide De Camp (ADC) to Suswam, Dickson Powa. He also took Suswam’s former private driver, Mr. Sam Akina as his personal driver. These developments are viewed with suspicion in different quarters with many believing that the governor may be positioning those with deep knowledge of his predecessor’s secrets in order to use them to nail him. Both Pawa and Sam fell apart with their former boss, Suswam and were sacked based on loss of confidence. But, while Secretary to State Government (SSG), Barr. Targema Takema, while addressing staff of Government House recently, dismissed allegations of witch-hunting those who participated in the previous government saying things were only been repositioned for effective service delivery to the people of Benue, a chieftain of PDP, Hon. Terver Shinshima pointed out that the APC-led government of Ortom is out to paint a very abysmal picture of the former governor to ensure that Benue indigenes hate him beyond greetings. “Didn’t Buhari receive handover from Jonathan? Who says all is well? Yet nobody had ever heard Buhari badmouthing his predecessor all the times. But here, in Benue, at any occasion, after saying prayers, the first statement starts with Suswam and the empty treasury. 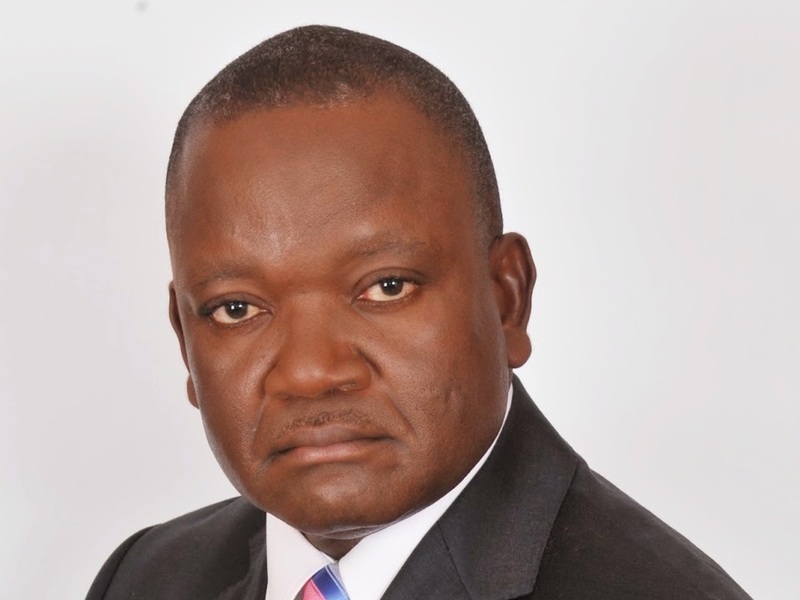 What was described as the most embarrassing pronouncement a governor would ever make, was a decision by Ortom that he had cancelled the report of Benue State University visitation panel constituted by his predecessor. The governor had made the announcement himself at Government House, Makurdi. However, barely three days after the pronouncement, the Chairman of the panel, Prof. (Sen) Daniel Saror, landed the governor what could be said to be the heaviest blow with an iron fist, when he released a letter of his resignation from the panel to the media. The former Vice Chancellor and three-time Senator of the Federal Republic of Nigeria described the governor’s pronouncement as embarrassing, even as he said the committee whose imaginary report the governor had cancelled was yet to commence sitting adding that there was no report from the committee so far. “I find the statement credited to the governor not only embarrassing but also unfortunate as such a report does not exist,” Saror stated. The governor again gave analysts and observers of his government causes to raise serious questions regarding his sincerity over his declarations when he came out to dismiss his predecessor’s claims that he was leaving the state with the debt of N9billion. He announced unequivocally that preliminary enquiries by his team had put the debt profile at N90billion. Given the breakdown of the debts however, the governor added both commitments on contracts bided and awarded without contractors being mobilised, added same amounting to the tune of N50billion, a development that raised questions on whether it was a deliberate calculation to up the debt profile by all cost to give the outgone governor a bad name. Peter Nomkya, a finance expert observed that the N50 billion in question, was the total amount required to compete the projects the state government intended to execute, and therefore, could not be counted as debt. “The new governments may, depending on circumstances review the contracts and terminate those that it feels the contractors have performed poorly or the projects that have no value to the State and its people,” he added. Also, on the handling of industrial action by a section of workers in the state, particularly, Benue State Chapter of Academic Union of Universities (ASUU) by the governor has been terribly knocked. Though he actually inherited the strike, sources at ASUU said that in the message sent that the lecturers resume classes, the governor was careful in making any commitment, only simply promising to source money and pay their June 2015 salaries and remaining mute on the months of March, April and May, a development that angered the striking union to declared that the strike action should continue. But comparatively, it is believed that no governor since the creation of the state quotes the Bible more often than the incumbent, who hardly completes any speech without quoting copiously in the holy books. Pronouncements such as, “for people like me who fear God”, “I have come to govern with the fear of God”, “I have taken reins of the state as a born-again Christian” etc have convinced many that at last, Benue has gotten a true God-sent. Many a political pundits however, wonder that, with certain actions, inactions, pronouncements and general body language that suggests amongst other things, witch-hunting, malicious and vendetta, how many would come to know the governor’s God, at the end of the day.